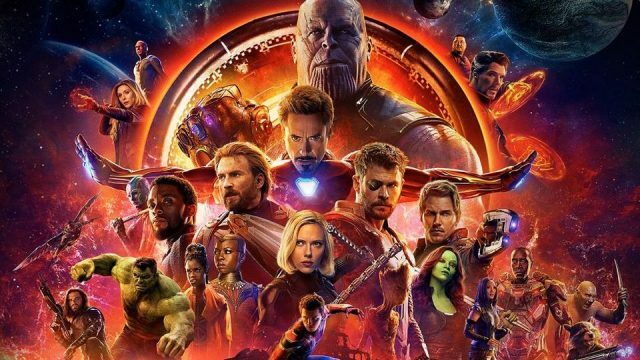 Ten years of the Marvel Cinematic Universe (MCU) come to a head with the release of Avengers: Infinity War, the 19th Marvel Studios film to date. The movie also pushes the boundaries on what you think could happen in a Marvel movie, with set pieces and some pretty good pathos mixed with humour. The Iron Man and Spider-Man suit technology is cooler than we’ve seen before. It also has, by a fair margin, the most fulfilling Marvel villain so far in Thanos, played by Josh Brolin. My colleague and I had a great time reviewing the science in Marvel movies such as Thor: Ragnarok, Guardians of the Galaxy Vol. 2 and Spider-Man: Homecoming, but I think we can resolve some unfinished scientific enquiry with Infinity War. Under ideal conditions, fighter pilots can stay conscious up to about 10 Gs. But what is Tony’s acceleration? The still frames above were taken about 0.21 seconds apart, and Tony has accelerated from a standing start to be about five body lengths away (we can say a body length is two metres). I thought Thor: Ragnarok was pushing the boundaries of physics with Thor’s hammer, but Infinity War takes it to an extreme. The largest nuclear bomb ever, the Tsar Bomba, released about 209,000 trillion joules of energy, or 2.09 × 1017 J – not even close to enough, even if all the energy could be used to slow down the moon. It also seems like waaaay more than 50% of the on-screen characters still alive at the climax of the movie meet a tragic fate in Thanos’s purge (including in an end credits scene not to be missed). It shows the distribution of likelihoods for a percentage of characters dying, under a 50% purge (based on a count of 20 on-screen characters at the end of the movie). Avengers: Infinity War – official trailer. The action scenes are bigger and better than ever before, and we’re treated to an ending and supervillain like no Marvel movie before it. Upping the stakes, action and epic scenes means an expected further departure from “conventional” scientific reality, but that can be forgiven for the sake of an incredibly entertaining and engaging film.